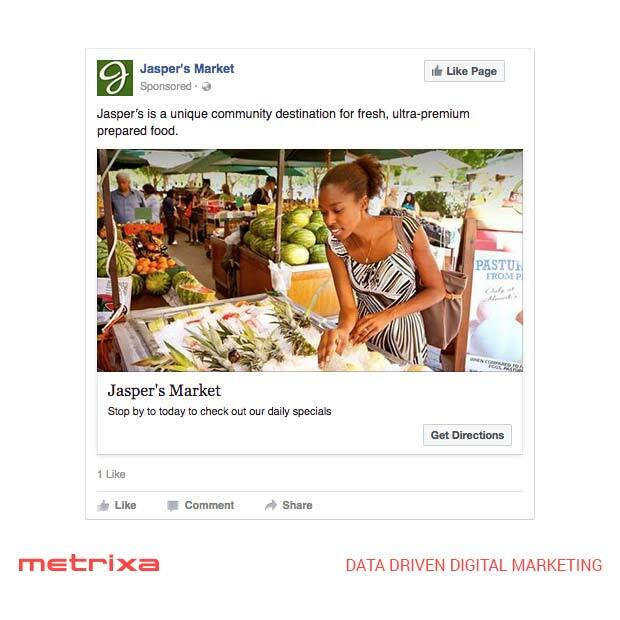 Facebook offers a huge range of ads for many specific marketing objectives. However, most advertisers tend to either a) under-utilise the more niche ad types, b) opt to boost posts or c) concentrate solely on ads focused on engagement or website visits. In this post, we will cover some of the more niche ad types that you can use when promoting local business, events, and special offers. Using these ads appropriately will get you much better results than using regular ad formats. Local Awareness Ads allow advertisers to encourage people to attend their events or visit a physical store. 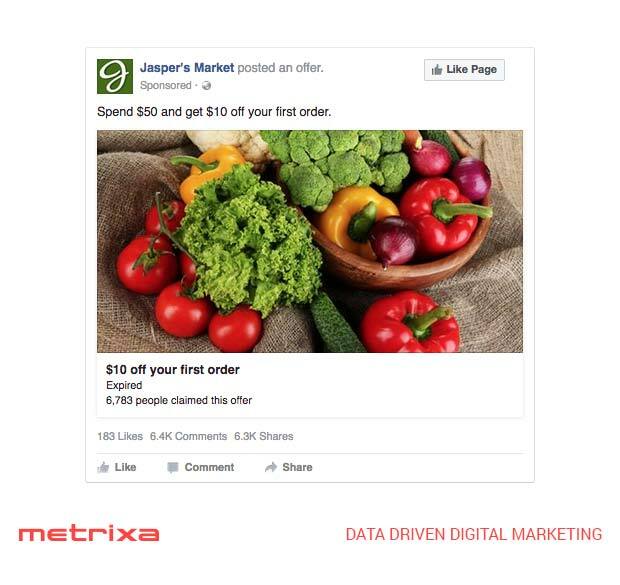 The ad format is very similar to Facebook image ads, with one image, a like button, text, and a call to action. However, the call-to-action (CTA) options are what make these ads so useful for local awareness. 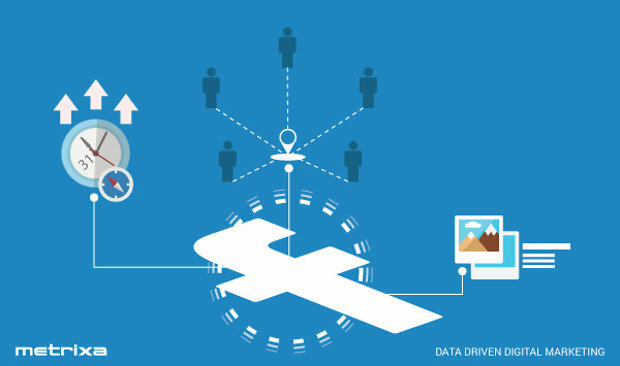 When creating local awareness ads, you have a new call-to-action option "Get Directions". This CTA will provide the user with a map and directions from their current location to the store or event location. With so many people using Facebook on a mobile device, (especially smartphones) these types of ads can bring people - who might have otherwise walked/driven past without even noticing you - straight to your door. Local awareness ads are not yet available in all countries or regions. However, Facebook is regularly expanding the availability of them. So if you can't get them right now, check again in a few weeks or a month. 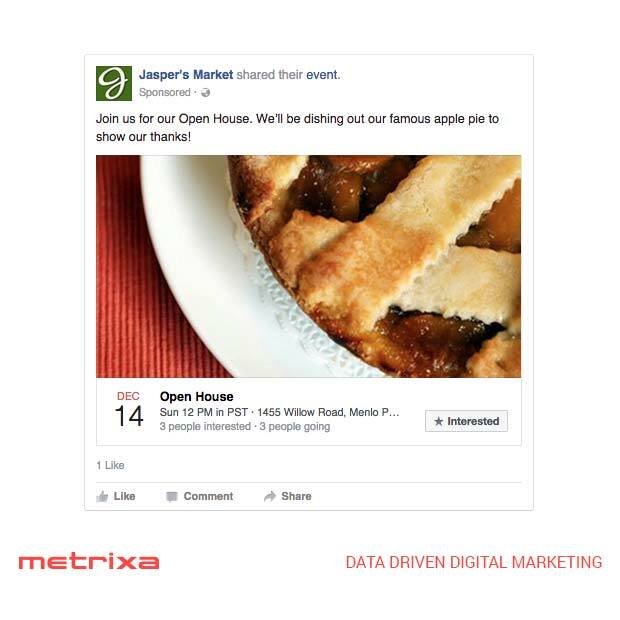 Event responses allow you to promote events on Facebook and encourage people to attend. While the ad format looks a lot like website traffic, or engagement ads, there are a few features which make this ad type more useful for events. First, the call-to-action is the standard "interested" text if you look at the full sized ad, or the event calendar icon on smaller ad formats, which adds a level of familiarity, making it seem less like an ad. You also get the fantastic feature of showing users which of their connections are interested, or are attending the event. The ability for users to express 'interest' rather than having to confirm attendance up-front also provides you with an incredible communication channel to all those people who are sitting on the fence. Just make sure you have a communication plan for keeping your attendees and prospective attendees engaged and excited in the lead-up to your event. Other than that, you should take into account the typical advice for Facebook ads, such as short but engaging text, and an excellent image to grab attention and inspire action. If you are running a special promotion, Facebook Offer Claims ads are a great way to extend your offer to wider networks. Offer claim ads are all about delivering the goods. With this ad, you definitely want to keep words to a minimum. In fact, if you are not outlining what the special offer is, you are wasting precious word space. Let the image tell users about the product/service and how great it is, and use text to explain what you are offering. We also recommend setting the expiry date to create that sense of urgency and highlight the limited time of your offer. After all, a 'special offer' that's available all the time isn't a special anymore is it? The ad format also includes up to 900 characters for terms and conditions, saving you from having to send users to a legal document when they land on your web page. While you could technically create a regular ad to promote an offer, the small benefits included with this format will help get more sales/leads for your business. While these niche ad types may or may not appeal to your business on a day-to-day basis, it is worth being aware of them. On the rare (or maybe not so rare) occasion where you do need to promote an event or in-store promotion, you can maximise your return-on-investment by choosing the right ad for the job.